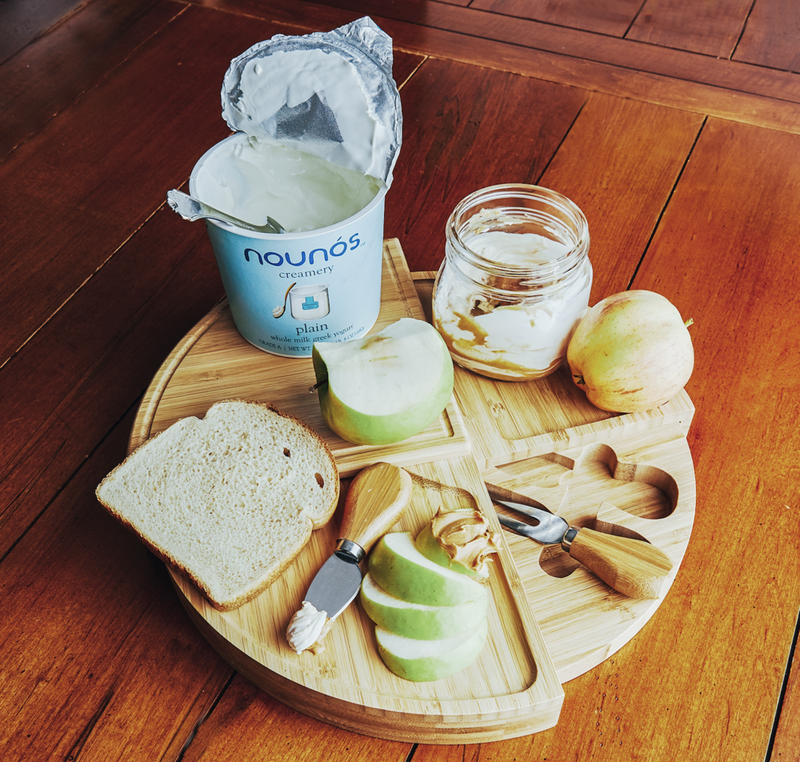 An apple with peanut butter is staff nutritionist Dr. Jenn LaVardera's favorite afternoon snack. It's the perfect blend of sweet and salty, crunch and creamy, and provides plenty of nutrition to get her through the day. This peanut butter and yogurt blend is a tasty, two step way to mix things up. Simply gather the ingredients and mix to enjoy! 1) Mix ingredients together until fully blended. 2) Serve on apple slices, whole wheat crackers, or celery sticks.